It’s widely acknowledged that there is a direct correlation between reading and success. But it’s not the amount you read, it’s what you read. There’s a difference between reading for entertainment and reading to level up in life and business. As an independent, entrepreneurial creative working to build your business, reading the right book at the right moment can change your entire approach and make a huge difference in your level of success. These twelve business and marketing titles have helped me to keep growing, reinventing and moving forward both professionally and personally. I’ve chosen each title for this list because it provides helpful insight, experience-based wisdom, and practical steps for anyone in business, marketing and creative work. You CAN make a good living doing creative work. Goins tears apart the starving artist myth and describes how to leverage your creative bents into life-long prosperity so that you can do the work that makes a difference. A discussion about how people are influenced and how to put this knowledge into practical use. Claudine describes principles of commitment, social proof, reciprocity and authority in how people come to trust or distrust an idea or brand. You should get this book for your library and read it because it will influence your thinking. Why do some ideas take hold and why do others die? These brother-authors explore what makes ideas memorable and viable, and ways we can frame our ideas to form compelling messages. 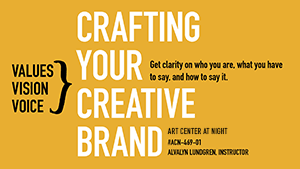 This is a must-read for designers, marketers, artists and communicators because we need to create compelling messages. Do you need to inspire others? What makes some people and organizations more influential and profitable than others? Why are so few successful people able to repeat their successes over and over? Sinek explores the reasons you should begin with WHY. Whenever you want to persuade, lead, inspire, sell, attract or communicate, beginning with WHY sets the stage for others to buy in and believe. Great leaders throughout history have had a few things in common. Sinek identifies those things and then guides you in using them to build a framework that influences others. You should read this book because you need to connect with your own motivations as a creator. One of the few broadly-targeted (meaning it’s not focused only on women) business and leadership books written by a woman, this volume shares insight about how great thinkers and game-changers are really no different than anyone else. They have dreams and goals just like the rest of us, except that they take the initiative to be tenacious, gutsy, persistent, and focused. These are all choices anyone can make, but most do not. Kaplan’s premise is that achievement comes by setting a course and staying on course over the long term, and investing what you do now for good results later on. If you’ve ever thought about giving up when things got rough for you, you need to read this book. The creator of Behance, Belsky spent a number of years researching the habits of highly-productive creative people who can make ideas happen time and time again. He compiled his findings of what they do differently. His premise is that instead of pursuing new ideas, we should develop the capacity to make ideas happen. You should read this book because, as a creative, ideas are your bread and butter. Don’t run out of time. Do your most important work now, while you have time. Similar to Cal Newport’s premise in Deep Work, Henry outlines the need to do what matters rather than chase advancement. We don’t have all the time in the world, but we need to make the most of the time we have. Each of us has a unique contribution to make, to impact the lives of others, and the time to do that is now. Henry presents principles and tactics for setting purpose-driven goals and walking them out. It’s possible to float through life, and it’s possible to live life on purpose. Michael Hyatt suggests that it’s possible and preferable to design your life in order to create meaning. Hyatt outlines a process of creating a life plan in which you decide what matters most, get realistic about where you are and sure of where you want to be. Pair this with Getting Things Done by David Allen and you’ll gain a new perspective on the fact that you can’t do it all, but you can do what’s truly relevant to you. This title reaches out to women entrepreneurs to help them get clear about their business goals, identify their audience and build a following. Green identifies common challenges that many women in business experience unique from their male colleagues, and provides ideas for overcoming a sense of isolation, inhibiting self-talk and un-productive habits, among other things. She focuses on how people hold themselves back, why they do this, and how they can get over their obstacles. Green, who is the founder of the Female Entrepreneur Association, was recognized as an under-30 rising star and was the Great British Entrepreneur Awards Entrepreneurs’ Champion of the Year in 2014. 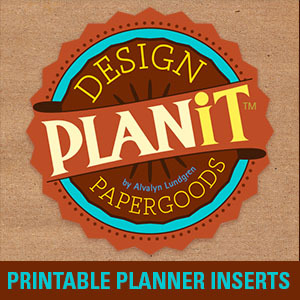 David Allen wrote the bible for managing projects and tasks, and staying organized. Allen lays out a proven triage process for identifying what’s important, what’s relevant and what’s not useful. He provides highly-practical methods for mapping your next steps and removing common barriers to uncertainty — that thing that so often holds us back. Popular apps like Omnifocus and Nozbe are structured to optimize Allen’s principles. Allen recently updated his book to include current workplace cultures and technologies. Cults are successful because they cultivate belonging and acceptance. Likewise, successful brands and thought leaders understand that to cultivate long-term relationships with clients and customers, those clients and customers need to feel accepted and special. The way brands achieve loyalty among their followers is the same way independent creatives develop their customer base. Read this book because you need insight into how to serve your clients and customers by provided what they are looking for. This is a sort of primer in how to look at things sideways and upside down in order to transform things. You can use the techniques in this book to build your business, find new clients, create on behalf of clients, and to increase your value to your clients and customers. So why not make a plan to read one of these titles each month, and discover ways to implement the ideas into your freelance business. If you do this, things could be drastically different for you one year from now. What do you think? I recommend and promote those products or books that I have investigated and believe you will find value and benefit from. If you purchase a title through the above links, I will receive a percentage of the sale, which helps support this blog. 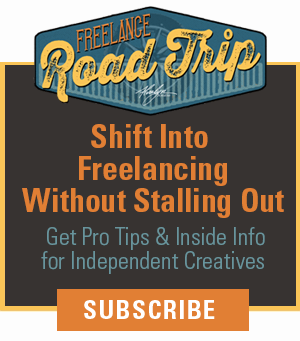 As a creative professional, mentor and instructor, my goal is to inform and inspire you with recommendations of tools, products and services to help you build a thriving freelance business. My blog articles, social media posts, and featured resources page and trainings are offered to help you toward this goal. From time to time I promote certain gear, materials and books via affiliate marketing links, which means I earn a commission for any customers referred from this website. 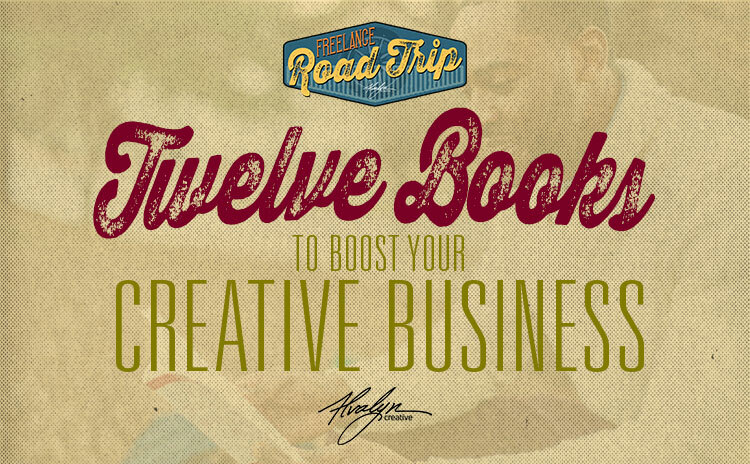 In turn you help to support Alvalyn Creative and Freelance Road Trip when you make a purchase through one of my links. If you have any questions regarding our policy, please do not hesitate to contact us by using our contact page.